Can an Officer Stop a Driver for Legally Turning Away from a DWI Checkpoint? The short answer to this question is, yes, in light of and pursuant to the totality of the circumstances a person can be stopped for making a legal turn within the perimeters of a DWI checkpoint. To not run afoul of the Fourth Amendment’s protection against unreasonable searches and seizures, the general rule is that law enforcement officers must have reasonable articulable suspicion (RAS) in order to stop someone. An officer has RAS when he or she observes conduct, which leads him or her to reasonably believe that criminal conduct may be afoot. In such a scenario, that officer may stop the suspicious person to make reasonable inquiries. To do so, the officer must be able to point to specific and articulable facts, which taken together with rational inferences from those facts, reasonably warrant the stop. 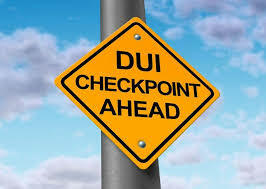 However, DWI checkpoints are an exception to this general rule. In Michigan Department of State Police v. Sitz, the United States Supreme Court held that stops made pursuant to DWI checkpoints do not violate the Fourth Amendment’s bar against unreasonable searches and seizures, so long as the DWI checkpoint is conducted in accordance with the mandatory constitutional and statutory requirements. A case decided by the North Carolina Supreme Court, State v. Foreman, is the most relevant case on point for determining the law regarding when an officer can stop a person who makes a legal turn away from a DWI checkpoint. The New Bern Police Department was conducting a DWI checkpoint in Craven County, North Carolina. Notice signs stating “DWI Checkpoint Ahead” were posted 1/10 of a mile prior to where cars were being stopped. An officer who was in a marked police car parked close to the checkpoint’s perimeter was tasked with pursuing any and all vehicles which appeared to attempt to avoid the checkpoint by turning around or away from it to determine the basis for such avoidance. At approximately, 2:00 A.M., the defendant approached the DWI checkpoint. Immediately prior to passing the “DWI Checkpoint Ahead” signs, the defendant made a “quick left turn” followed by “a second abrupt left turn.” After momentarily losing sight of the vehicle, the officer found the defendant’s car parked in a residential driveway with its lights and engine off. The defendant was also seen crouched down hiding inside the car. If you have been charged with Driving While Impaired in the Charlotte, North Carolina area, contact our DWI attorneys online, or call us at 980-207-3355, today for a free consultation. Our attorneys at Browning & Long, PLLC can discuss the specific facts of your case with you and assist you in preparing a defense that will be in your best interest.